Living to Succeed in Life. People cannot be their best selves until they face up to the fact they really don’t know how to give and how to learn new ways of living. Everyone needs a mentor in life. If you don’t have a mentor there is no chance of change of living conditions. To do that is impossible if you go it alone. Living to Succeed requires absolute change of thinking combined with decisive action. 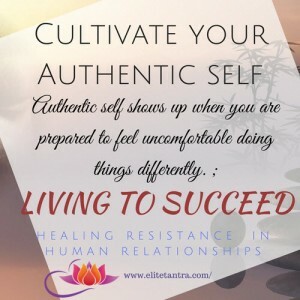 Authentic self shows up when you are prepared to feel uncomfortable doing things differently. When you do things differently, at first it feels seriously wrong. Because new ways of walking, talking, dancing goes beyond the known. The known feels comfortable. If you are really honest you’ll admit that the known is so boring that you left relationships or jobs because they did not offer enough variety in life. That felt confining. If you are honest; you’ll admit that you also confined your relationships to the known. In doing so, you stifled the people around you. For that to change we need to begin to help you step outside the known. Only then do you develop courage. New situations build courage muscle. To continue your courage we must have new experiences that build some aspect of life. Not just experiences to talk about. There must be meaning. Many travel the world for new experiences. Reality is that; all you do is spend time and money. Travelling needs to be an investment into the future. When we travel it’s essential to travel to a destination not away from problems. When you realise that time is not replaceable, you experience conscious awakening. Then EVERY single THING that you do begins to matter. My Living to Succeed training module takes you to destinations that build private, intimate, and business relationships. Self disclosure is foundation of progress. Improving your social skills is foundation for Living to Succeed. Adapting to different personality is basis for personal growth. At the very core is ability to determine who in your life is contributing to your personal growth. And who to remove from your life so you can succeed. To develop life skills in relationships we need to expose ourselves to different situations. This entry was posted in Business and tagged Authentic self, business relationships, Conscious awakening, cultivate authentic self, decisive action, develop courage, develop life skills in relationships, Improving social skills, new experiences, personal growth on 15/03/2018 by Tasha.